A tiny but powerful number of scientists, applauded by a few famous greens, urge us to accept nuclear power. They see it as the salvation of our civilization, our climate, our future. It isn’t happening. As you’ll hear, nuclear power is shrinking, not expanding. World-wide, major nuclear companies are going bankrupt, or soaking up billions more of your taxes, or both. Expert Mycle Schneider looks into secrets of the Great Nuclear Leap Forward in China. Remember, after Chernobyl and Fukushima, an accident anywhere in the world can irradiate the Northern Hemisphere. China’s new untested reactors are your reactors. Their radiation can land in your backyard. All our lives, we’ve been told the problem of storing nuclear waste for a million years will be solved by science and technology. Instead, you will hear how hot waste from 70 years ago continues to threaten and poison a suburb of St. Louis Missouri. Dr. Helen Caldicott also reports on the mad rush to turn beautiful South Australia into a nuclear waste dump for the world. Boiling water with reactors has become a time-bomb, a failed technology, a path better not taken, a threat and a burden to all succeeding generations. Listen to/download this Radio Ecoshock show in CD Quality (56 MB) or Lo-Fi (14 MB). – He Zuoxiu, in the Guardian newspaper, May 25, 2015. In fact, He Zuoxiu, who has been a government supporter and well known scientist in the nuclear field, has called the current rush to nuclear expansion in China “insane”. He’s 88. He can get away with it. The risks to very heavily populated parts of China are huge to unimaginable. As we learned from Fukushima, an accident anywhere can launch radiation around the Earth. What is going on with nuclear power in China? From Paris, our guest Mycle Schneider makes it his business to know. 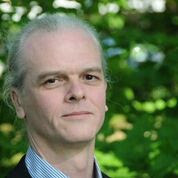 He’s the lead author of “The World Nuclear Industry Status Reports.” Schneider has advised European governments and members of the European Parliament on energy issues. China has become an experimental lab for untested nuclear reactor technology. All the dreams of nuclear scientists are either planned or already under construction in China. There are plans and hopes for “pebble reactors” and “thorium” plants. The experiment becomes even larger when we consider so many countries, all with their different technologies, are part of the new nuclear boom in China. The Taishan reactor complex is just one example. There the French company Areva is providing 3 European Pressurized Reactors (EPR’s). These are allegedly “3rd generation” designs (although Mycle says there are very few advances over current second generation models). Experience? They have never run one of these reactors for a single day, and their track record is atrocious. The EPR at Flamanville in the far north of France (just across the channel from Britain) was begun in 2007. It’s completion date kept getting delayed and delayed, by years and years. Now they say it will be finished in 2017 – oops, now it’s 2018.. But that’s unlikely. Areva has recently admitted finding a serious design flaw in the inner reactor. It’s so serious, Mycle suggests they might have to tear down and rebuild. The French regulator published information on this flaw, but it has not been communicated to the Chinese people. The original cost of this single EPR reactor was supposed to be 3.3 billion euros. Now it’s over 10 billion euros and who knows what the final cost will be, if it opens. China has also contracted to buy a couple of experimental, never-before-built “third generation” reactors from Westinghouse Nuclear, now majority owned by Toshiba corporation of Japan. It’s the AP-1000. Who knows what it will cost, when it will be completed, and most importantly, if this design is safe? Mycle Schneider also worries whether China can find the technical culture needed to run reactors flawlessly. Sure China turns out zillions of engineers every year, but none of them have been nuclear operators. China joins other countries like France in having the builders, operators, and regulators all part of a government-owned structure. Very little is known about this industry in China. There is no transparency, and little room for citizen oversight or complaint. I’ll have more to say about that in another program. Schneider points out that the world has fewer operating reactors (supply power to the grid) now than existed in 2002, even with the construction boom in China. That’s because old nuclear plants are being closed in many countries, and not replaced. It’s a dying technology. The few nuclear reactor makers are being killed off in the stock market. Nuclear shares are now at pennies on the original dollar. That’s another serious worry. For example, the La Hague nuclear fuel reprocessing site, again in northern France, has the largest supply of high-level nuclear materials in the world. It’s run by Areva. Areva stocks have been hammered so low, and their sales so poor, that the company has announced big job cuts. When hundreds of staff are sent home from La Hague, Mycle asks “what were they doing that will not be done now?” Is safety being cut as well? What happens to all the reactors being built or operated by financially failed companies? That alone is one reason why nuclear power is not a solution for global warming. The economic costs are far too high, and not enough could be completed before lasting damage has been done by the carbon economy it means to partially replace. It’s too late. The big reactor makers were almost toast in the west, despite billions in government subsidies. But they counted on a “nuclear renaissance” in China to survive. Schneider points out the Chinese have been blunt about their game. They are “technology shopping”. They buy a couple of reactors from everybody (including from Canada) – and then break down the engineering so they can do it all themselves. There is no big market for reactors in China for any western company. The end-game of all this nuclear “business” is sadly predictable. Taxpayers, somewhere, will pay and pay to prop up existing reactors, and then pay more or less forever for whatever dismantling and storage can be done. The current players will long-since be bankrupt. The nuclear sales executives will have run away. All of this comes as the nuclear industry tried desperately, including at the Paris climate talks, to promote their industry as the answer to global warming. They didn’t even make the agenda. The public doesn’t want it. It’s not happening. It’s a dead-end. Be sure and check out Mycle’s interview. It’s an eye-opener into a nuclear business built on secrecy and incredible risks. He’s been an advisor on nuclear and energy to the French, German, and Belgian governments. His reports and expertise are in demand. He knows. List of Mycle’s publications here. Check out the World Nuclear Industry Status Report web site. You can find out more about nuclear energy in China with this January 2016 update “Mind the China Effect“. In a populated suburb of St. Louis Missouri, nuclear waste from American bomb-making is washing into surface water. Now all that radioactive mess is threatened by an underground fire just 1200 feet away. If that’s the best the United States can do, what chance does Australia have, with their grand plans to make South Australia a dumping ground for the world’s nuclear waste? It’s time for another round of nuclear madness, and the doctor is in. That’s Doctor Helen Caldicott, the most famous anti-nuclear campaigner in the world. Along the way, Helen tells us about her role in founding the anti-nuclear movement in Australia in the 1970’s. Then she spent 20 years in Boston. There she revived a dead non-profit called “Physicians for Nuclear Responsibility” and built it into an anti-nuclear powerhouse. Helen met for over an hour with President Ronald Reagan. Sensing he knew little about nuclear weapons, she explained not only was any nuclear exchange unwinnable, it would cause a catastrophe where medical treatment was not an option. Reagan after that began talks with the Soviets to reduce nuclear weapons, and reduce political stress points. We owe a part of our survival of that mad nuclear age to Helen Caldicott. Not that we are safer now. Nuclear weapons continue to be built all over the world, some in very unstable countries and/or dictatorships. The tension between nuclear neighbors has spread from just Russia and the West to places like Pakistan and India. Just yesterday, January 26th, the Bulletin of Atomic Scientists announced the “Doomsday Clock” would remain at 3 minutes to midnight. Helen continues to warn the world about the danger of nuclear weapons, but that is not why we talked this week on Radio Ecoshock. First the Australian state of South Australia has a mad idea to replace the car plant jobs they lost. The government is pushing to become the nuclear waste dump of the world. There is a complicated back story, but that’s the bald fact. How they would do this has not been announced. So far it looks like a shed in the desert is the likely plan! South Australia called their own Royal Commission to get submissions on the project. Most of the submissions came from pro-nuclear people. The aboriginal people – who still own the land! – could not make direct entries to the Commission, because they lacked the Justice of the Peace system that was required. Their voices were ruled out. The Royal Commission is due to release it’s predestined “report” on February 15th. 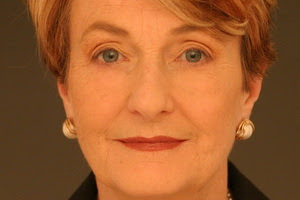 On February 16th Helen Caldicott will make an answering speech in Adelaide. It’s all very sad. We’ve been told and told that there will be a new technical solution for nuclear waste. Here is a situation in America which shows what a great lie that is. The original nuclear waste from constructing the atomic bombs dropped on Japan – that waste is still very potent and dangerous. A great deal of it was just dumping in the ground near the airport in St. Louis Missouri. It was badly looked after. A few tarps cover the ground. Rainstorms wash radioactive waste into local streams, and from there into rivers. The wind blows radioactive materials around. A recent study by scientists, including nuclear scientist Bob Alvarez, checked out an area about 200 kilometers around the St. Louis site near Bridgeton, a suburb. They found lots of radiation. The title is: “Tracking legacy radionuclides in St. Louis, Missouri, via unsupported 210Pb “[Lead] You can read more about that study here. Guess what. There is a higher incidence of many kinds of cancer around this West Lake landfill site. Our old un-friend Exelon is the allegedly responsible party for this nuclear mess. Now the kicker. An underground fire has been burning for years in the regular landfill site right next to the nuclear dump. This fire is now burning less than 1200 feet from the nuclear waste! If the atomic materials burn, you can count on radiation spreading far and wide. The US Environmental Protection Agency is proposing a wall be built underground to deflect the fire, but really nothing has been done. So like the good doctor going to where the sick patient is found, Helen Caldicott is going to St. Louis. She’ll help bring the spotlight back where it belongs, on this utter failure to protect even the first nuclear waste created by humans. Any more money spent on nuclear power is a waste of the dwindling fuel, resources, and carbon space in the atmosphere. Humans will have to be very fortunate to care for the existing plants over dozens of generations. Given our history, our failed economics, and the magnitude of climate disruption developing, some reactors, somewhere, will blow out, one by one, or in concert. I hope I am not one of the unlucky evacuees if the radioctive tanks blow up at Hanford in Washington State. I hope none of you are predestined to abandon a whole region of your country, with all the beloved places, experiences, and resources lost to humans. Accepting that risk is a betrayal of Nature. It is a betrayal of whatever or whoever initiated the possibility of ever-lasting evolution of life somewhere in space. That’s what I think. That’s how I feel. I’m Alex Smith. Thank you for listening to Radio Ecoshock again this week. At the end of the program, I play a bit from “Talkin’ End Game It’s The Radioactive Song” by Michel Montecrossa. Alex I know your timing is impeccable. you're freaking out with surreal narratives. China will move water inland and they found some under the desert. China is building 6 new nuclear plants per year until 2030. Coastal regions will be sacrifice zones. China knows they can't build green energy fast enough without nuclear power. it's too late to be against nuclear power, somebody has to clean it up. The U.S. has 300 years worth of nuclear power from nuclear waste. We can get dense reliable power cleaning up nuclear waste. No choice. China knows nuclear power is not a restaurant menu item because we cannot survive without it and somebody has to clean up the mess. Would be interesting to talk about 4th generation technology in the pipeline. I agree that nuclear energy is a waste of precious time and resources (from a government perspective) and that such resources could be spent: reducing our energy demand through insulating homes; decarbonizing the energy grid with proven existing technologies (that produce less waste – especially far less toxic – such as wind, solar etc); and making food production methods sustainable. But why not – through the use, in part, of a carbon fee & dividend – create a market where private institutions (provided they take all the risk and leave any waste where they found it) can resuse only the existing nuclear waste on the condition that water is not used for cooling and reactors are away from population centers (for example molten salt reactors mentioned in the previous comment), which will result in a less toxic substance thus reducing burdens for future generations. I think Governments shouldn't waste money on this endeavour since we need to be taking steps to cut and reduce CO2 now rather than relying on an underdeveloped tech that might be ready in the 2020s. But if venture capital funds want to research and take the risk, why not? Is this a flawed argument? My understanding is that, for the US at least, a green transition can be made with minimal changes to the electricity infrastructure without nuclear due to the fact that the wind and sun is effectively active (at sufficent capture quantities) somewhere at all the time in the US due to country's huge size. "Renewable energy is unsustainable without massive energy demand destruction"